Earn 1.5 mpd on local retail spending from now till 31 December, capped at $10,000 of spend. 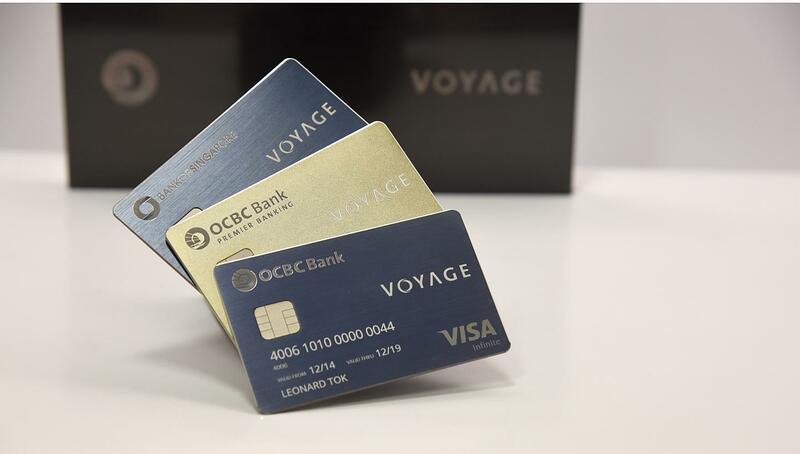 As far as miles cards come, the OCBC VOYAGE is a rather unique product in Singapore. The regular VOYAGE earns 1.2 mpd on local spending, 1.6 mpd on local dining and 2.3 mpd overseas. What’s unique about that? The VOYAGE Miles you earn can be converted to KrisFlyer at a 1:1 ratio, but can also be used to offset the cost of revenue flights at a pre-determined rate. If you’re holding an OCBC VOYAGE card, you might want to check if you’re eligible for their Christmas spending promotion which just got announced a few days ago. From now till 31 December, regular VOYAGE cardholders will earn 1.5 mpd on local retail spending, capped at a maximum of $10,000 for the promotion period. This represents a 25% bonus from the regular 1.2 mpd. The promotion is only for holders of the regular VOYAGE card, presumably because the premier and private banking customers already earn 1.6 mpd on local spend. Charges, fees and other costs payable to any non-profit organisations which includes charitable, religious and political organisations. Payment of funds to prepaid accounts and merchants who are categorised as “payment service providers” which includes and not limited to EZ-Link, NETS FlashPay, eNETS, SAM, Transit Link and AXS. OCBC Bank has the absolute discretion to determine which provider is considered a “payment service provider”. No registration is required- if you received the SMS, you’re already included in the promotion. The bonus 0.3 mpd will post by 20 Feb 2019. I did an extensive piece on the best use cases for VOYAGE Miles a few months ago, and what struck me as the most interesting is that the value of your VOYAGE miles depends on what destination you redeem them for. VOYAGE has its own internal “award chart” that assigns maximum value to places like selected destinations in Europe and South America, and lower value to Australia. The chart above is not comprehensive, but it does suggest that you should play around with different airports to see if you can get more bang for your buck by flying to one airport over another. You could convert your VOYAGE Miles into KrisFlyer miles at a 1:1 ratio, but to me that’s wasting their true potential. If your goal were out and out KrisFlyer miles earning potential, there are other cards like the BOC Elite Miles World Mastercard that would get you there faster (the card application process, unfortunately, is anything but fast). 1.5 mpd won’t tip the scales for most people, but it’s a nice additional bonus given how useful VOYAGE Miles can be. If you haven’t already signed up for a VOYAGE card, you can apply for one through this link to get a callback. Be sure to check out all the various banks’ Christmas promotions in our Christmas Credit Card guide. Thanks to Dennis for this story tip.